Meniscus Products for complex meniscus treatment. Tennis elbow Products for complex tennis elbow treatment. Carpal Tunnel Products for complex carpal tunnel treatment. Gout - Uric Acid Products for complex gout treatment. Headache And Migraine Products for complex headache and migraine treatment. Muscle pain Products for complex muscle pain treatment. Hip and joint pain Causes, symptoms, prevention and treatment. Knee pain Natural solution for knee pain, complex treatment. Tingling Natural solution for tingling, complex treatment. Sciatica Causes, symptoms, prevention and treatment. Leg swelling Products for leg swelling (swollen legs). Muscle pains (myalgia) are very common. They are caused by tension or strenuous and physical activity. A sedentary lifestyle can also be a problem as it leads to the weakening of muscles. Sport or physical labour can also be the reason for pain. You can feel the consequences immediately or after couple of days. 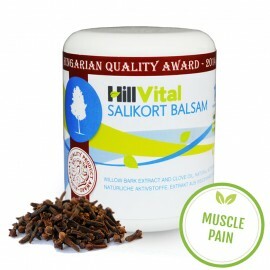 HillVital offers you a range of products dealing with muscle pain. Salikort Balsam helps with pains associated with inflammation. Our balsam relieves muscle tension and blocks painful stimulations. It helps with nerves, tendons and muscle regeneration. Kapsamax balsam’s warming properties relieve muscle pain. The balsam helps improve blood flow in the muscle tissues, relieves and warms up stiff and painful muscles and supports post-injury recovery. Herbal composition helps prevent muscle stiffness and warms muscles up. It relieves problematic areas by acting as an analgesic. It is most often recommended for use treating tendon and muscle inflammation. Weak and malnourished muscles need a balanced source of active ingredients that regenerate muscles and supply them with sufficient energy. Our complex vitamin pack Vitago contains an optimised amount of vitamins and minerals designed for a balanced and valuable nutrition for muscles. If painful muscles are accompanied by muscle cramps, try our Calmag+D3. Calcium and magnesium nourish the muscles and prevent painful muscle contractions. Magnesium speeds up muscle regeneration. When undergoing exertion, the body uses an increased amount of calcium and magnesium. 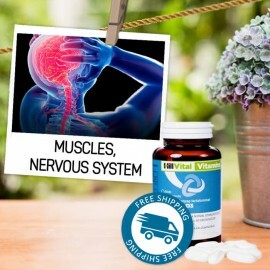 Our pure high-quality supplements do not leave any toxins, do not burden the body and, thanks to the right combination of active ingredients, the effects are way faster than many other treatments. Tea Go is a great source for stifling pain and regenerating muscles. It contains willow bark which directly alleviates pain. Willow bark is a natural analgesic. Herbal pain relief to improve quality of life. 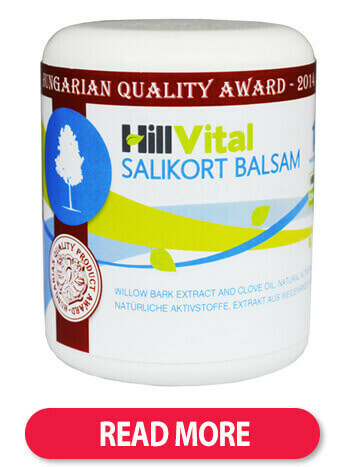 HillVital products for muscle pain contain natural analgesic - Willow Bark, Comfrey and other effective herbal extracts to relieve pain, swelling, inflammation. Salikort cream - balsam for muscle pain Stifles muscle pain (strain or torn muscle) Returns ..
Salikort balsam for muscle pain and tendon inflammation contains herbal extracts that effectively stifle pain. Salikort provides effective relief from a pulled or torn muscle or tendon. 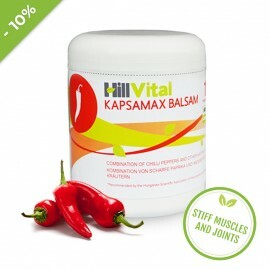 NATURAL KAPSAMAX BALSAM HELPS RELIEVE STIFF MUSCLES AND SUPPORT MUSCULAR BLOOD FLOW Are your musc.. Stiff muscles and joints? Our balsam helps improve blood circulation and its warming properties provide muscles with desired relief. Balsam helps eliminate pain and soothe stiff joints and muscles. 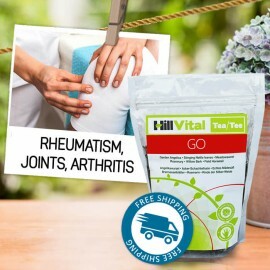 HillVital Tea GO - joints, rheumatism, arthrosis Herbal Tea GO contains an efficient combinatio..
For regeneration of joints, cartilage, and tissues. Herbal composition helps heal aching joints, rheumatism, arthrosis, and helps treat musculoskeletal diseases and support post-injury regeneration. 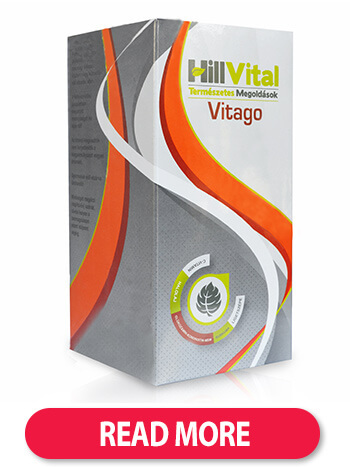 Vitago - vitamin package for the supportive treatment of the musculoskeletal system Vitago is ..
Vitamin pack for problems with joints, back, musculoskeletal system, rheumatism, arthrosis, osteoporosis, gout and others. An intense monthly treatment with the finest vitamins, minerals and extracts. HillVital Vitamin and Mineral Pack: CalMag + D3 Calcium: contributes to mai..
For muscle activity and a balanced nervous system. Calcium and Magnesium are the most important minerals and its consumption is highly recommended for people suffering from cardiovascular diseases. Muscles need a substantial amount of energy to function properly, all the while producing waste. When a muscle is contracted, the blood flow is reduced, leading to an insufficient supply of nutrients and oxygen. At the same time, waste stays in place. As a result, lactic acid builds up in muscles and causes muscle pain and stiffness. This leads to muscle oxygenation. If muscle pain lasts until the next day, it is possible the muscle tissues have been micro damaged. These pains last a day or two. Another problem could be lack of ions. The absence of calcic ions causes hypocalcemia. The muscles become sensitive and there is an increased risk of the occurrence of cramps. Potassic ions lead to hypocalcemia. This leads to muscle tissue damage and they subsequently hurt. Long-term tension and anxiety can have similar effects to recovering from an injury. Stress and psychological nervousness can lead to a muscle injury. Muscle overuse or muscle stiffness can be caused by a sedentary lifestyle. Muscle pain is often caused by insufficient blood repletion, fevers, loss of muscle mass, improper footwear or improper spinal position. Muscle pains can be associated with various difficult stages. Less serious sources of muscle pain are muscle fever or a ripped muscle. The most complicated issues require a more difficult treatment. You should always seek medical help when experiencing muscle injury. Muscle fever (soreness): Muscle fever is caused by ripped muscle micro tissues. This ripping is caused by an exertion so strong the muscle can’t bear it. These microtissues are not of the same width or quality and the weakest can rip easily. It is, however, a natural process, as these microtissues constantly renew. Muscle cramps: Muscle cramps are caused by lactic acid build-up in muscles which leads to blocking the regeneration. Muscle pains are caused by muscle cramps which occur mostly in the lower limbs. Another possible causes can be: rheumatism, fever, lack of magnesium and potassium. Muscle inflammation: Treating inflamed muscles can last a couple weeks. After overcoming inflammation, try gradually increase muscle exertion. Inflammation has a tendency to return or become chronic. Tendons inflammation: Inflammation can worsen by growing from itching into intense pains. Tennis elbow is a common condition. Inflammation and pain is caused by exertion, improper footwear or dehydration. Strained muscle: Symptoms associated with strained muscles are pain, swelling, bruises which are caused by damaging muscle ligaments. All it takes is to go beyond your abilities, make a fast movement, or exert the body too much and a strained muscle can occur. Ripped muscle: Immediate movement blockage, massive blood strain, bruises, swelling and incredible pain are associated with ripped muscles. A fast movement or exertion can lead to a ripped muscle. Complete ripping of a muscle comes after it was already slightly ripped and weakened. Icy compresses relieve pain and inflammation. Sensitive muscle strain and rehabilitation exercises. Do not lift heavy objects. Restrict activities which would exert aching muscles. Nourish the muscles and support blood flow to prevent lactic acid build up. Learn to rest and get rid of stress. Try yoga or meditation. * Geld-zurück-Garantie: Wenn Sie etwas von uns kaufen und aus irgendeinem Grund werden Sie nicht zufrieden, können Sie uns innerhalb von 30 Tagen informieren und wir werden Ihnen den vollen Preis zurückerstatten! Weitere Informationen finden Sie in den Allgemeinen Geschäftsbedingungen (AGB). * Wir garantieren keine konkrete Ergebnisse, die sich in Kundenreferenzen befinden und die Ergebnisse können unterschiedlich sein. Dieser Hinweis besagt, dass wir kein konkretes Ergebnis garantieren und die Wirkung für jede Person unterschiedlich sein kann! Die auf dieser Webseite bereitgestellten Informationen stellen keine Zusicherung oder Garantie dar. Contact us Contact+44 203 608 3178 info@hillvitalshop.co.uk BizPartner Group Ltd.
* Money back guarantee: In case you are not satisfied with purchased product, we offer you 14 day money back guarantee. Contact us within 14 days and we will refund full product price! Further information can be found in Terms and Conditions. * We don’t guarantee specific results stated in our Customers reviews and results may vary. We don’t guarantee any specific results and effects may be different from person to person. Information stated at this websites should not be taken as a promise or guarantee.